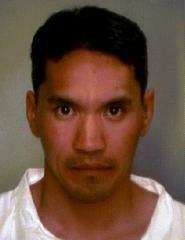 Extended furlough inmate Troy Chung-Hoon failed to check in with his case manager as scheduled earlier this evening. Hale Nani Reintegration Center staff attempted to contact and locate him. When attempts failed Hawaii Police were notified. Chung-Hoon is 35-years old. He is 5’9” tall and weighs 150 lbs. He has brown hair and brown eyes. He is classified as community custody which is the lowest custody level. Chung-Hoon is serving time for Operating a Vehicle Under the Influence of an Intoxicant. Escape 2 is expected to be added to his charges. His next parole hearing was scheduled for February.